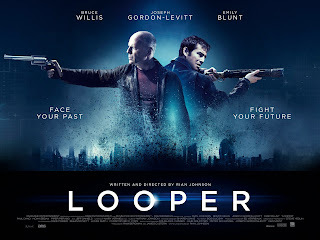 We watched Looper a couple of weeks ago - interesting concept: Time travel has been invented in the future, but is forbidden. Gangs from 30 years in the future are using it to send enemies to the present time to get killed by "loopers", hired guns who blast the victims the second they appear in the present. Occasionally, the victim is himself - in which case the reward is a large amount of gold, enabling the looper to live the good life, knowing that it will all end in 30 years. 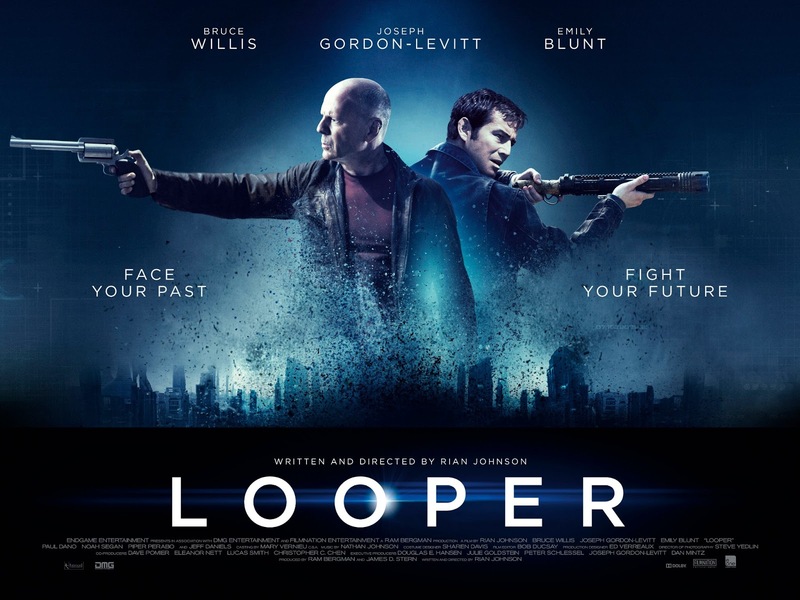 What happens when a looper refuses to kill his older self and the two of them end up in the same timeline? Or if his older self escapes? Well, it's a Bruce Willis movie after all, so there is a lot of blasting guns, many dead baddies, a few innocent victims, and a small dose of romance. I was trying out various techniques for this little project. I like how the trees in the distance look, well, in the distance. My foreground trees are a bit too blue and the ground is too dark and the water is a bit messy. 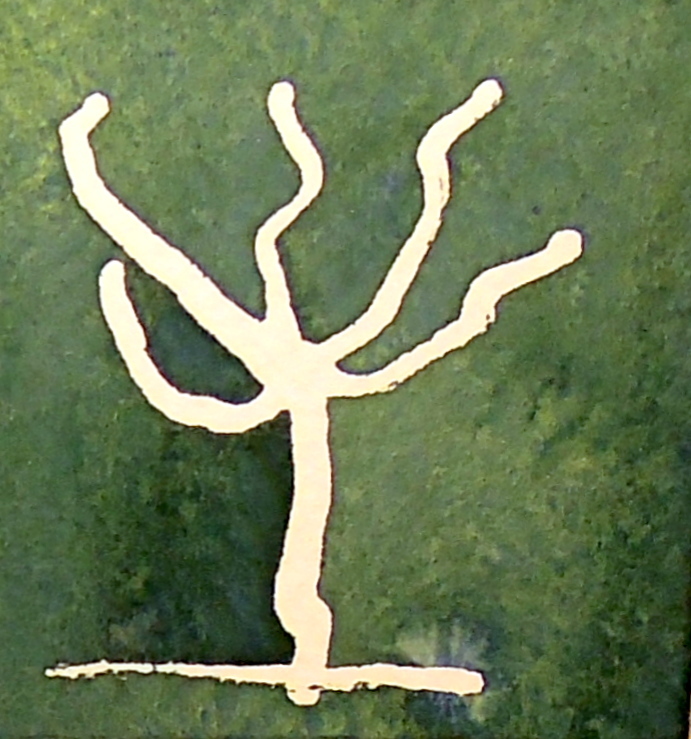 And the shape of the trees is completely wrong. But it's a start. Very sharp look for Siobhan Ryan yesterday, with this simple red dress - she carries it well. And again, a lovely smile at the end, making it easy for me to get a good print-screen from the RTE Player. Thank you Siobhan! Lovely dress (or skirt and top?) with a front lace detail. 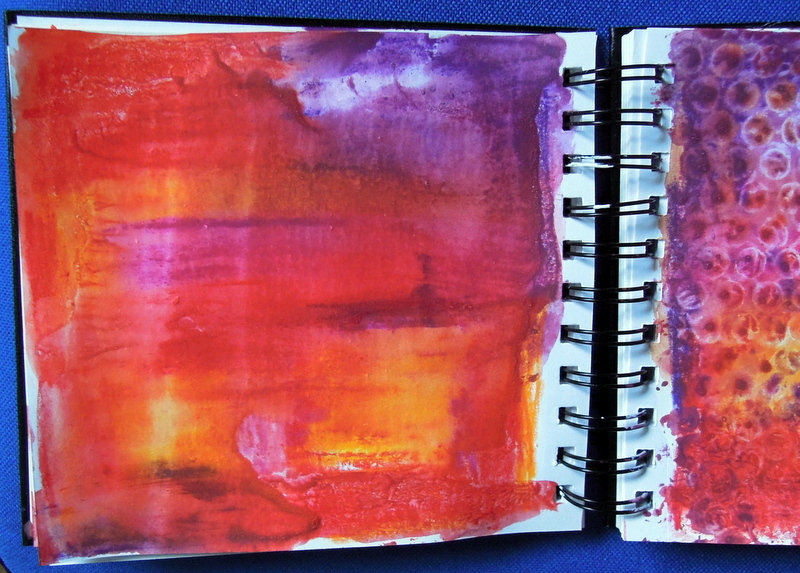 Another art journal project, using my lovely Neocolor II pencils. I got a dragonfly stamp and a pigment ink pad at the Art & Hobby shop at the weekend, and I applied to the bottom of the right-hand page, but I have to wait for it to dry before I show you. 24 hours later, and it's still sticky. I read somewhere that you need to set the pigment ink with a heat gun, which I don't have. I've tried for a few minutes with a hair dryer, but it didn't dry it fully. It says nothing on the box. If anyone can advise, I'd be most grateful! An actual green this time. 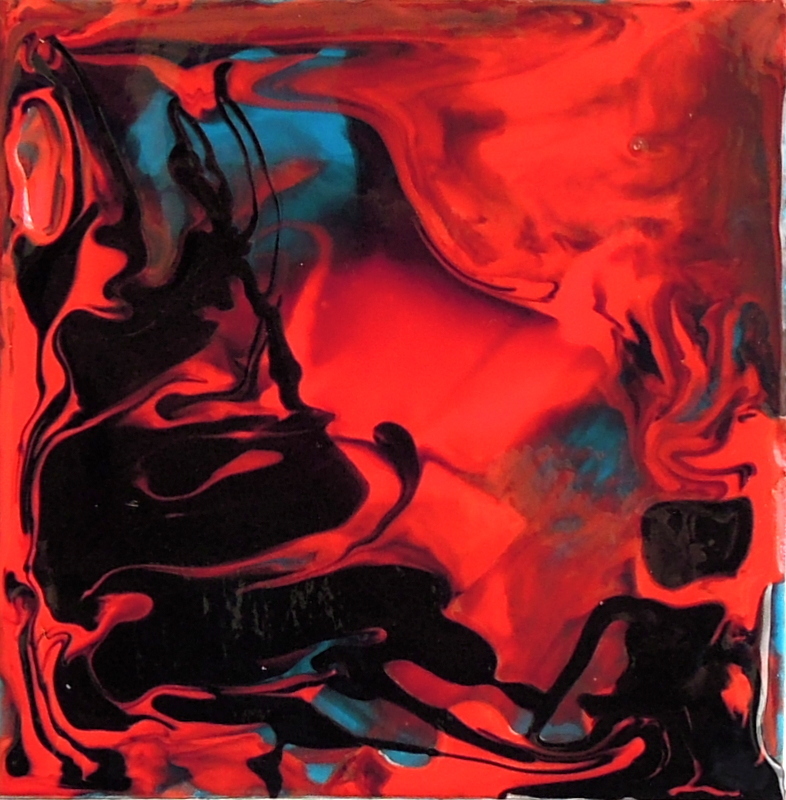 Here is another one - same colours, different mix. 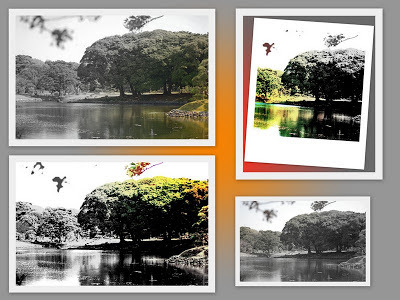 Well, I did a few aboriginal snails all right, but also a good few trees with backgrounds in many shades of green. More precisely cobalt blue + aureolin yellow + burnt sienna. 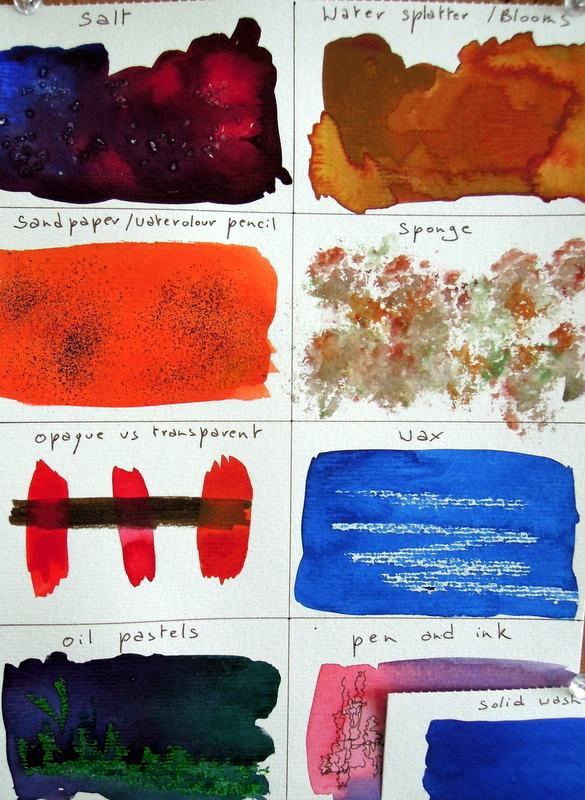 Amazing the range of colours that I managed to produce by varying amounts of just those three pigments. 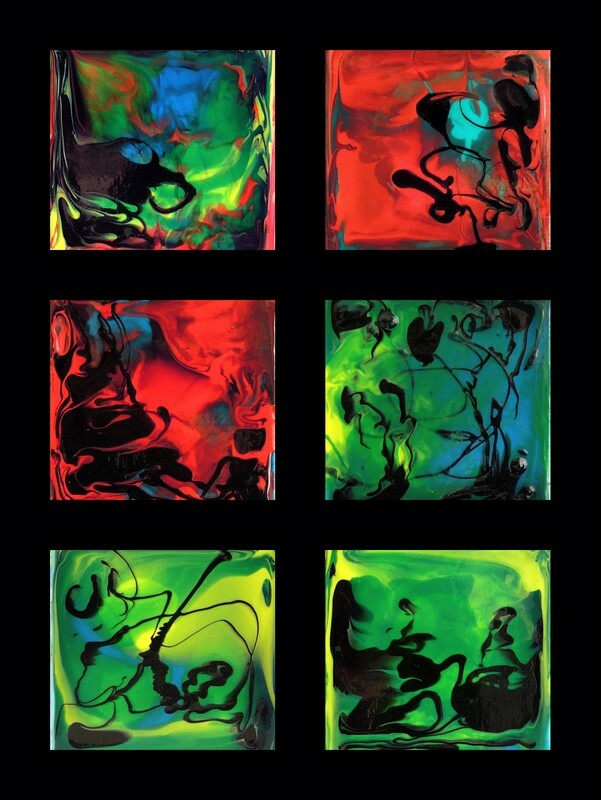 Hopefully I'll be able to reproduce the vibrancy and range when I start painting for good. 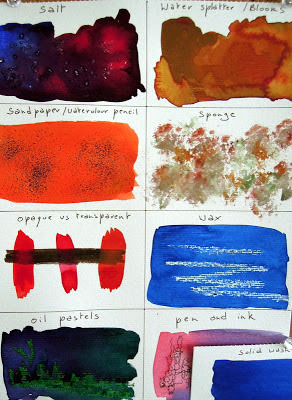 This weekend, I'm just buying time before I set paintbrush to watercolour paper! I love this top on Jean. And the skirt, barely seen in this shot, looks very stylish indeed. This one is a camouflaged failure, or maybe just a failure, pure and simple! I tried to use an old dried maple leaf as a stamp, but it got all messed up, so I covered it up with phthalo turquoise acrylic, applied with a cute little sponge brayer which has been hiding in a drawer for years - the sponge is cut out in alternating up and down lines, which gives this lovely line effect. But who am I fooling, really? If it wasn't in my little book, I would be using the back of that paper for something else. 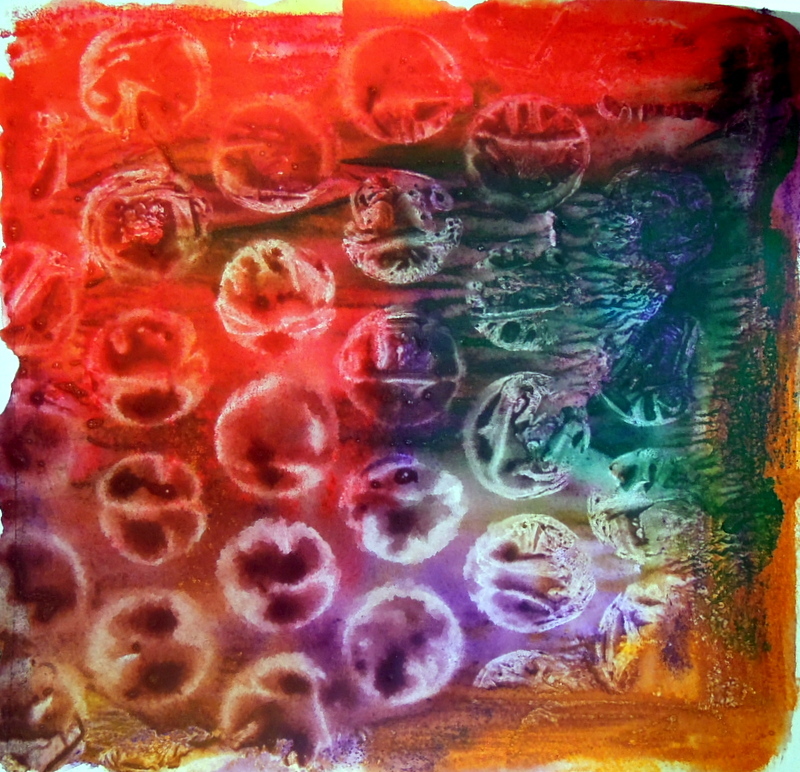 Colours are quite vibrant, though, and the process was fun. And the one on the right isn't too bad? 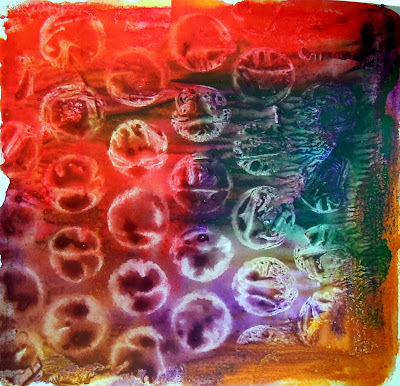 I'm hoping to get a set of Gelli-Arts printing plates for my birthday later on this year, and I'll then be able to explore printing techniques! Can't wait! 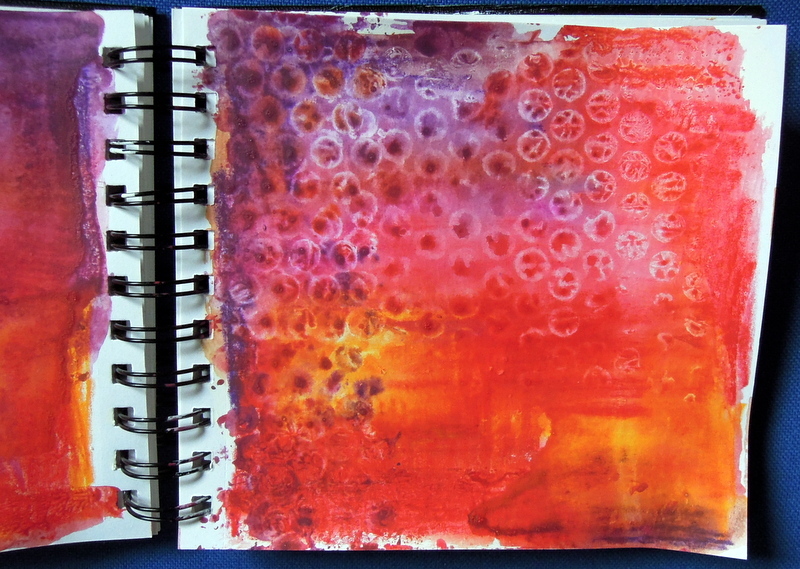 Still having fun with art journal pages - gesso, Neocolor II watersoluble wax pastels, and bubble wrap! Ideal for a weeknight, when I don't have the time to embark on a big painting project, but I want to keep the artistic juices flowing. I used BIG bubble wrap for this one! I should add collage elements, but the colours are so pretty I don't want to cover them! Photo taken in the CHQ building, where the 100 eggs from The Big Egg Hunt have been gathered. 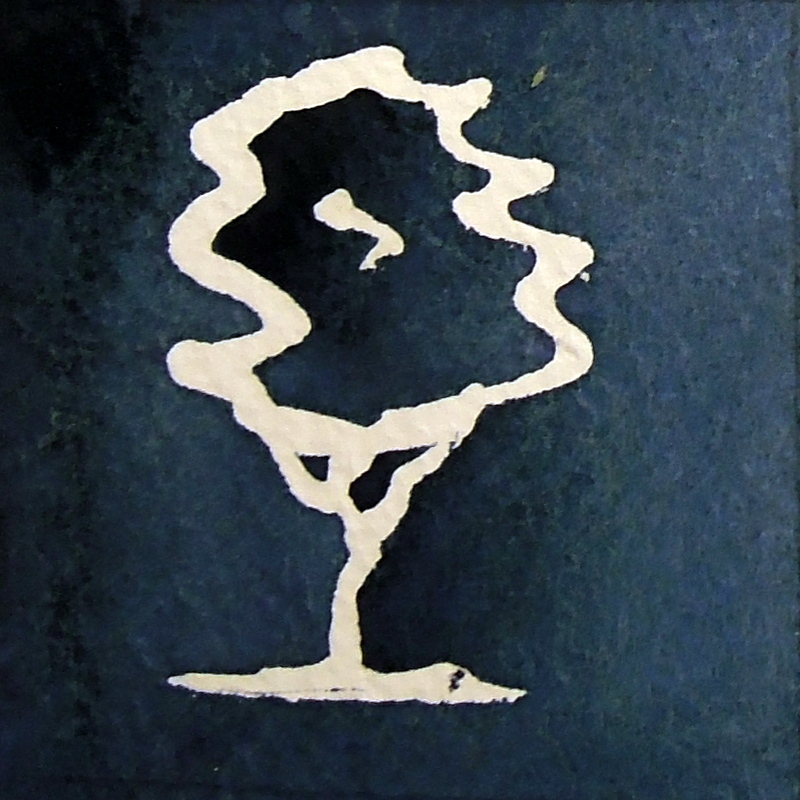 This is Jordi Fornies's egg, Treeborn. I am a fan of Jordi's work, but I want to point out that I didn't dye my hair that colour on purpose! 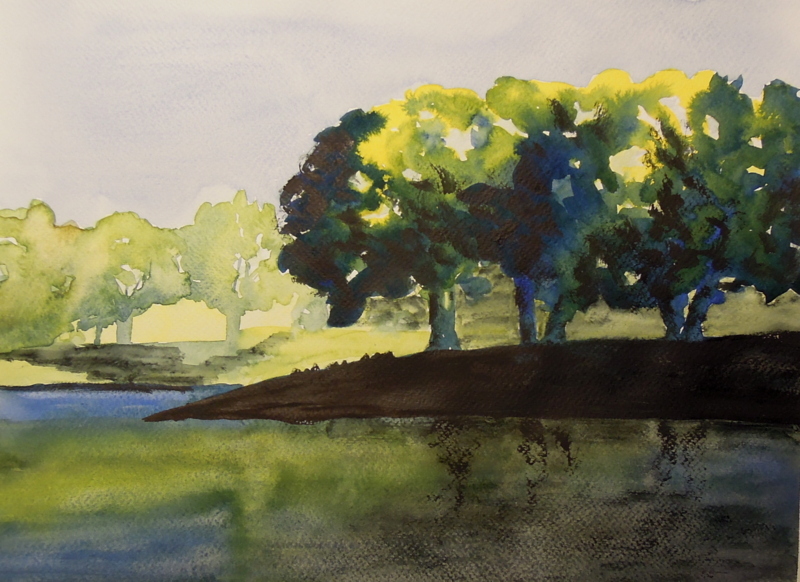 I don't really know where I'm going with this one - I've been looking at a lot of YouTube instructional videos on how to paint trees in watercolours, but I'm not sure if they're helping or just making me feel inadequate! Their paintings always look better than mine! 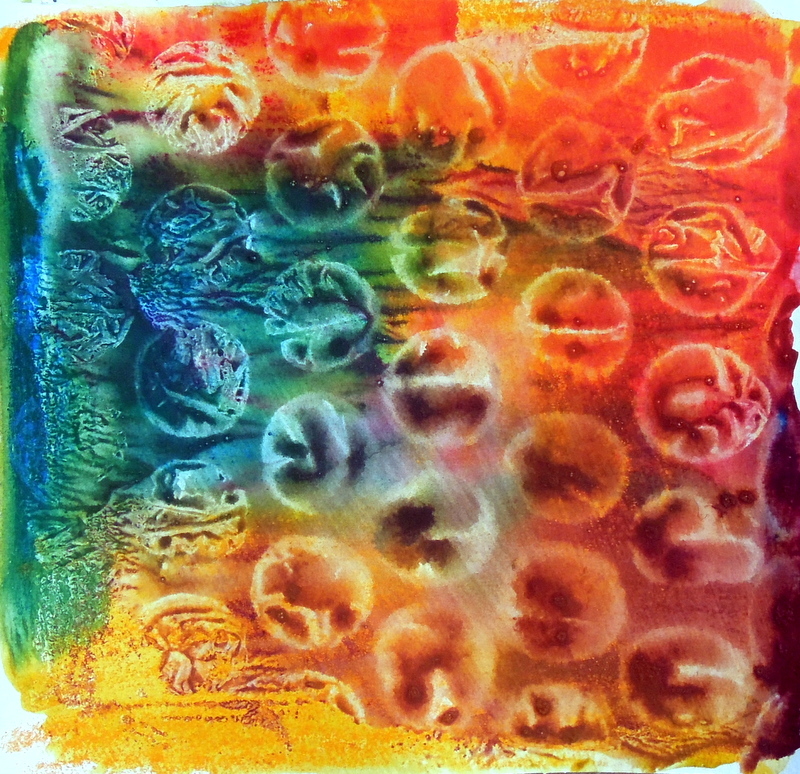 So I'm going to go back to basics - mixing colours and trying them out with my good old aboriginal snails! Composition-wise, I love this photo I took in a park in Tokyo two years ago. I also love the really dark values in the shadows. Maybe I should paint it in greys first, to really figure out how to render these darks? With a nod to Saint Patrick's day no doubt, Siobhan Ryan was wearing a fetching green top and skirt yesterday. And she always gives a warm smile at the end - making it easy for me to take a print screen! 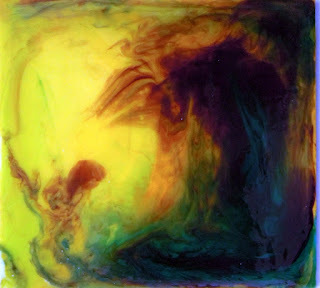 I thought you might like to see one of my poured cards in more detail. Acrylics are very hard to photograph - if you use the flash, all you get are reflections - if you don't use the flash, it's all a bit dull. But I hope this one gives you a good view of how the poured paint swirls about without mixing. Here is the third set. The salt technique didn't really work for me, although I waited until the shine was nearly gone off the paint. Maybe my paint was too thick? And I added a couple more techniques that I use regularly - applying wax and oil pastels as a resist, and using a Faber-Castell PITT artist pen. I love the sponge effect - it's definitely one I'd like to use in a painting some time. Last weekend, I decided to go back to basics. I haven't been much inspired lately - it's a while since I've produced a frameable painting. But there is nothing wrong with doodling, I keep telling myself. 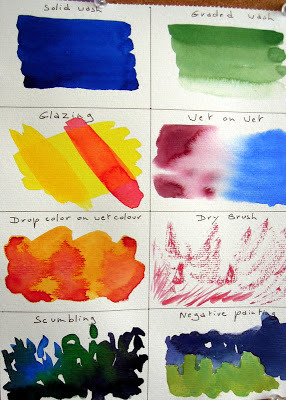 I found a YouTube video with miscellaneous watercolour techniques, and I decided to follow it. I've used all those techniques before, but sometimes, when I'm in the middle of a painting, I forget I have all these tools at my fingertips. So I thought it would be useful to have a chart of the most common techniques at the ready. Maybe it's not very original, but I decided to keep these journal pages simple - two words printed with acrylics on stamps, and we're all done! Every week, I get suggestions from YouTube - mostly art technique videos. Yesterday, I discovered a lovely tutorial on backgrounds for art journals, using gesso and watercolour pencils. It inspired me to try the technique with Caran D'Ache Neocolor II watersoluble wax pastels that I got a while back. I hadn't quite figured out what to do with them, but they are ideal for this technique - rub it on gessoed paper over two facing pages, then apply a little water with a flat brush. Close the pages together and open to discover a vibrant blend of colours. On one of the pages, I decided to apply a sheet of bubble wrap for a more textured effect. It looks pretty as it is, but I'm not sure what to do next with it! PS: The box I have is a set of 10 but I have seen on Cheap Joes that there are lovely greens and blues in the set of 15, and plenty more hues in the set of 126 - it's pricey, though, so I don't think I'll be getting that one unless I become very rich! 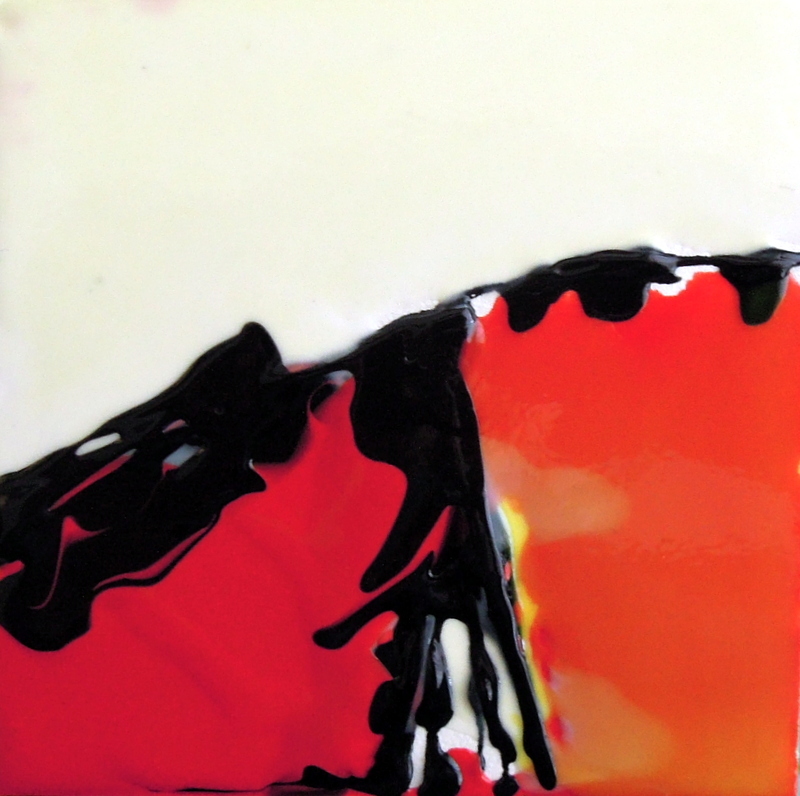 This one I really like - very different from my earlier pouring projects. Instead of pouring all my colours at the same time and letting them mix and swirl into each other, I waited and poured them one at a time. And of course the string gel provided a kind of barrier between the areas. You can't really see it on this photograph, but the top part is a lovely delicate cream colour. 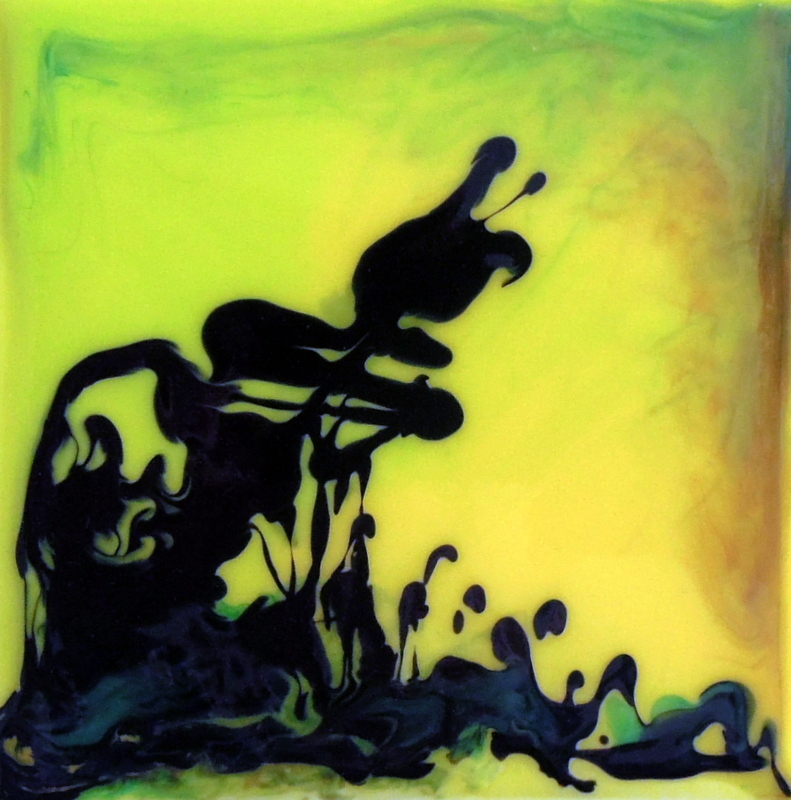 Instead of using pure white acrylic, I dropped a touch of Reeves green yellow into it. This uses the same colours as my previous pouring, with a much sunnier result. 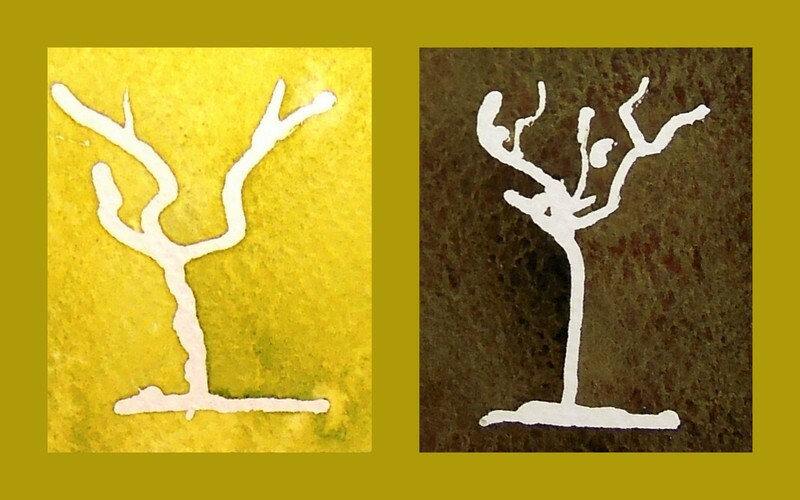 The addition that made the difference is Liquitex string gel with black acrylic paint. I wasn't trying to draw any shape in particular - the blobs settle in their own way. I'm still learning how to control string gel, to be honest. It's not as stringy as I thought it would be, so I'm getting more blobs then string - Maybe it will be more liquid when the weather warms up? Maybe I should warm it up on a radiator before I use it? If you have tips on how to use string gel, please let me know! This pouring is a happy accident - when I was pouring my brown layer, a lot more medium blobbed out of the pot than I had planned. I had no choice but to work with it. When I added the blue green, the brown provided a lovely dark foundation for it. I don't think it's birthday card material, but it's got a biblical quality to it, I think - the opening of the Red Sea, or God talking to Moses on the mountain? Just found this on YouTube. Yes, I love opera, but I'm also a Neil Diamond fan! Still a long way for the daffodils to come out in Belgium. They've been out here in Ireland for the last three weeks nearly! Love that green/grey. 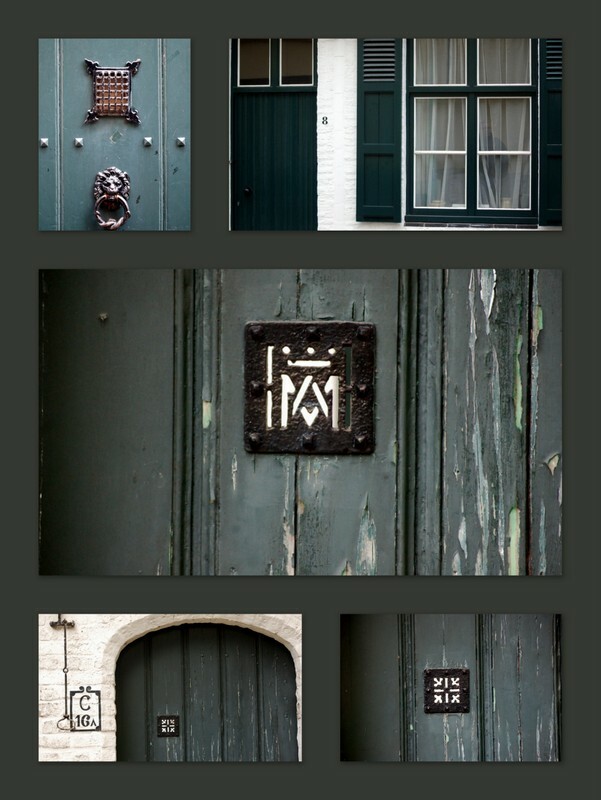 The three bottom photos were doors in the Béguinage area of Bruges. So peaceful. Actually, I'm not sure they're called lintels. 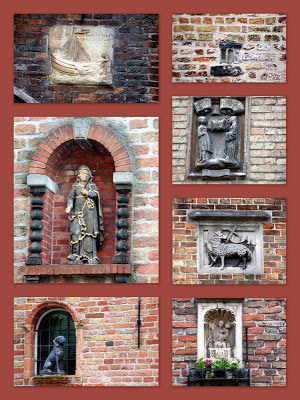 They are the brick or stone work over a window. Do you know what they're called? When we had builders over in 2008 building our extension, I knew all the technical terms, but, like any language, if you don't use it, you lose it. I ran the name of the street through Google Translate, by the way, and here is what appeared on my computer screen: "Holy Spirit Street"! What a lovely address it makes! "I live at Number 3, Holy Spirit Street". I wonder do credit card companies, banks and policemen think you're pulling their leg when you give them this address? 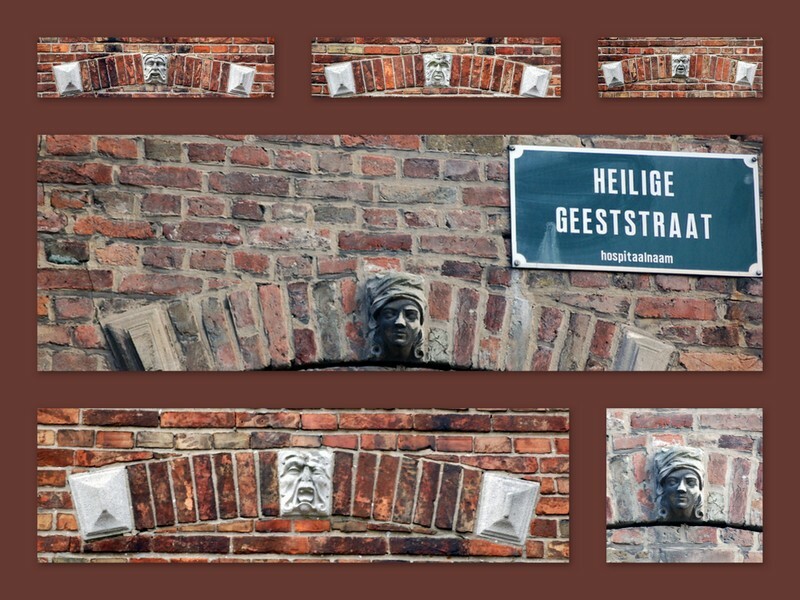 Anywhere you look, you will find amazing sculptures or bas-reliefs. What a feast for the eyes! I love the dog in the window. What's your favourite? I find that cards painted with pouring medium make excellent birthday cards! So I have to make some more. I went for slightly crazy colours this time! And I added string gel (tinted black). 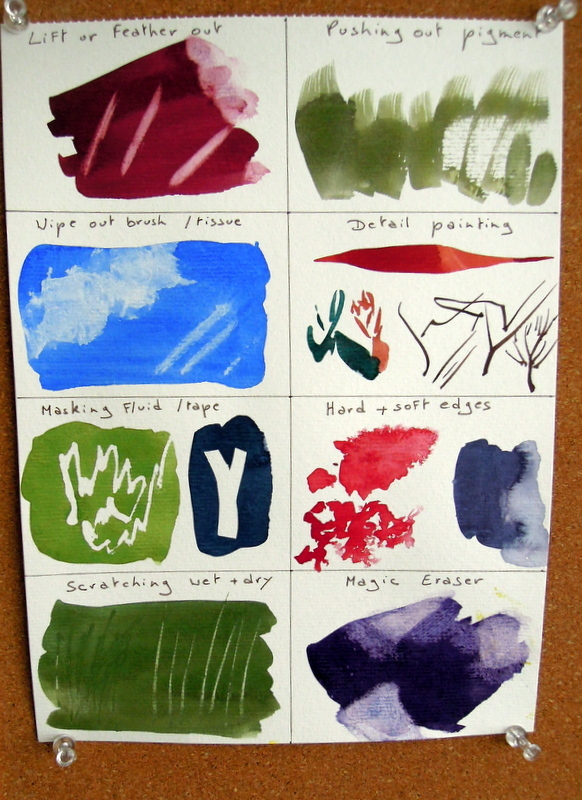 I'm going to try more subtle colours next, inspired by photographs I've gathered on Pinterest! A lot of Russian opera in next year's Met HD season! I'm not sure that's to my taste. I did see Rusalka in Wexford a good few years ago and I have fond memories of it. But I also remember walking out of a Russian opera at the Gaiety - it was just too tedious for my liking! But I won't be able to resist Anna Netrebko in Eugene Onegin! I might also be tempted by Massenet's Werther - though I have just read the synopsis on Wikipedia and it sounds very very gloomy! And of course, the big news is that James Levine will be making his come-back for some of the operas - so I will have to add Falstaff to my list just for that reason! I'm actually not sure if the necklace is separate or stitched to the dress? If you know, leave a comment! It's very hard to do a print screen of Jean, by the way. She's constantly moving! Listening to Joyce DiDonato's Drama Queens album on Spotify. It's only recently that I discovered Joyce DiDonato, with the Met HD's Maria Stuarda, and I was immediately taken in by her voice and presence! We were in Belgium for a family event last weekend. BB and I spent a day in Bruges. I had the long lens on the camera, so I took a lot of photos of architectural detail! Joyce DiDonato answers students' questions about her Sycorax in The Enchanted Island. Plenty videos about this opera - I know I'm more than a year behind. But I only just saw it recently on Sky Arts 2 and I thought it was a gorgeous production. Here is Luca Pisaroni's transformation into Caliban. I loved Luca Pisaroni as Caliban in The Enchanted Island, in many ways the most human of the cast of characters who make their way to Prospero's island. Yes, Caliban looks like an aboriginal incredible Hulk, but all he wants is a woman to love! Wonderful singer - and owner of Lenny and Tristan, surely the two most adorable and photogenic dogs in the opera world! And now, the original version! I knew this song from Cecilia Bartoli's Vivaldi album. A signature Bartoli performance! She's having a lot of fun! Ariel has just been freed by Prospero. She is on top of the world! A thrilling performance by Danielle de Niese. Based on Vivaldi: Griselda, RV 718, Act II, scene 2, "Agitata da due venti"